Botanicals are back. 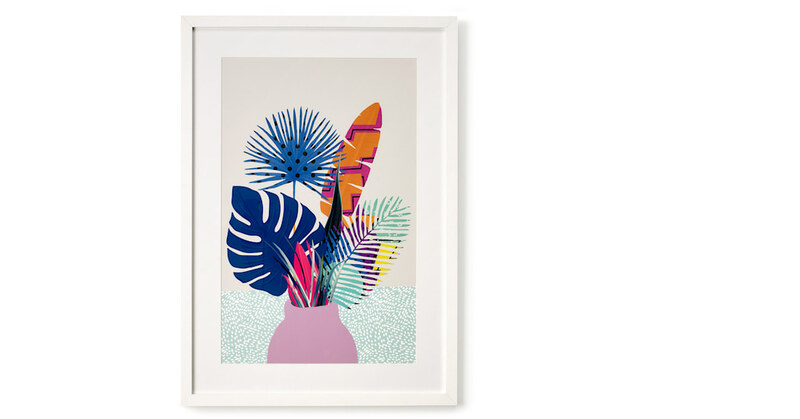 These beautiful prints bring a little wilderness into your room and have been cultivated exclusively for MADE.COM. The slender matt black frame is perfect for a contemporary finish. At 50x70cm in size it’s weighty, solid and comes with metallic backing hooks ready for hanging. Floral fan? Wild card? Both flora and fauna prints feature contrasting abstract designs on leafy silhouettes set against a muted background. Great for a pop of colour.